Anyone in sales today faces an uncertain future. We could almost say anyone in any business today faces an uncertain future. We live in an age of disruption and disintermediation. The business landscape is rapidly and radically changing and it keeps getting harder to predict what lies ahead. Sales methodologies are changing as well, partly in response to the flux in the business environment. Through the valuable work and research of many in the field we understand the nature of the buying and selling relationship differently. The sales context has changed. Selling methodologies are changing. Bruce Lee said, "Notice that the stiffest tree is most easily cracked, while the bamboo or the willow survives by bending in the wind." A practical guide for today's sales professional. 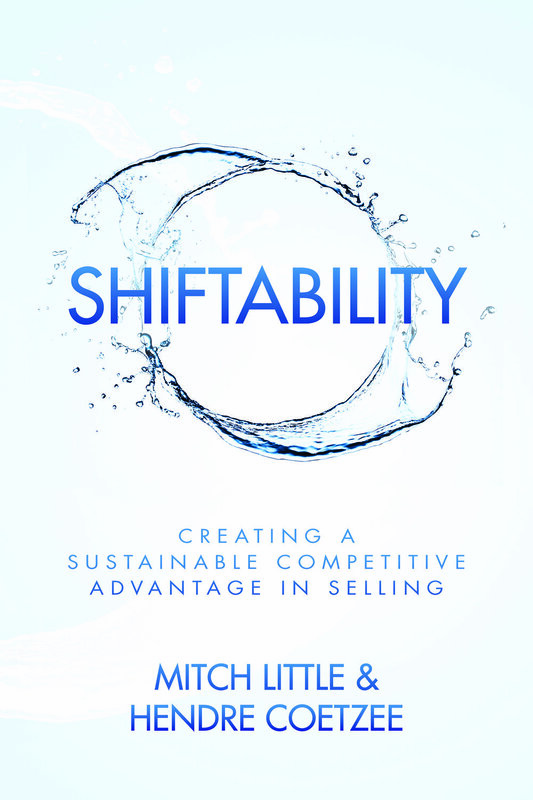 Shiftability is available on Amazon.